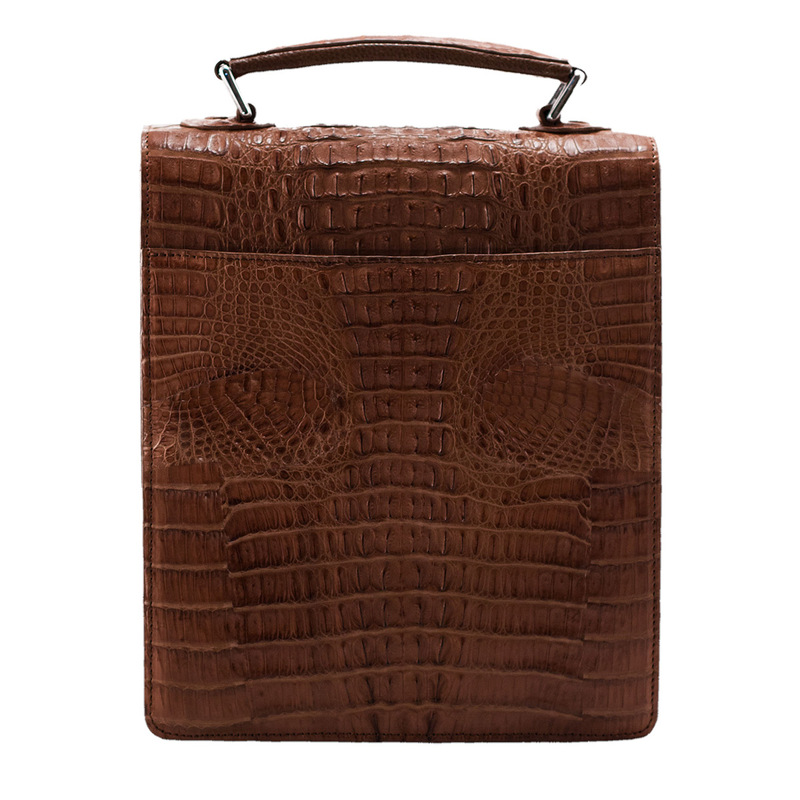 The CFO is a classic men’s exotic horn crocodile bag. 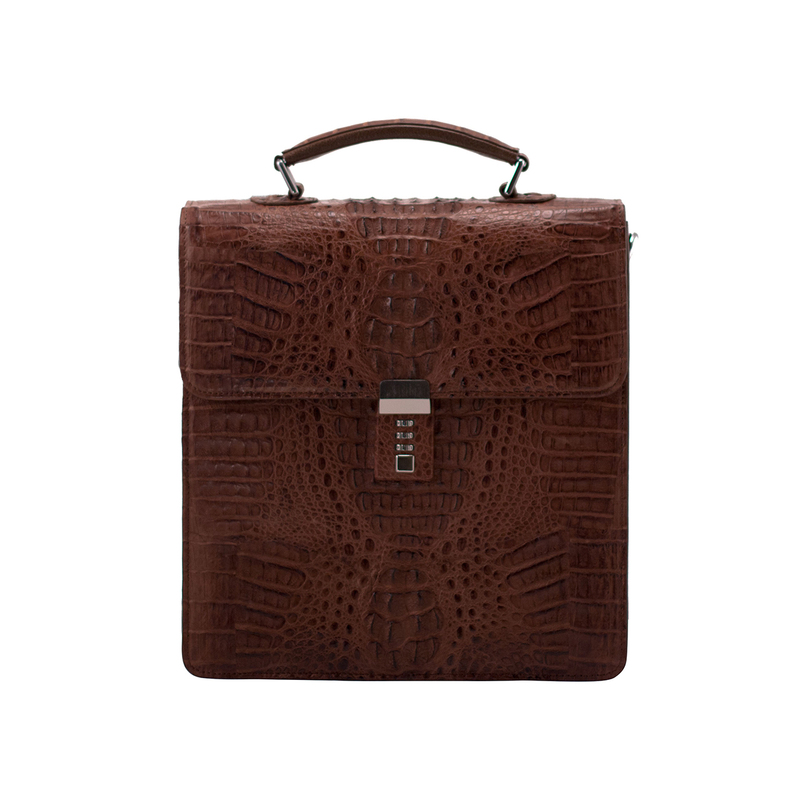 This bag has a front lock and detachable and adjustable shoulder strap. 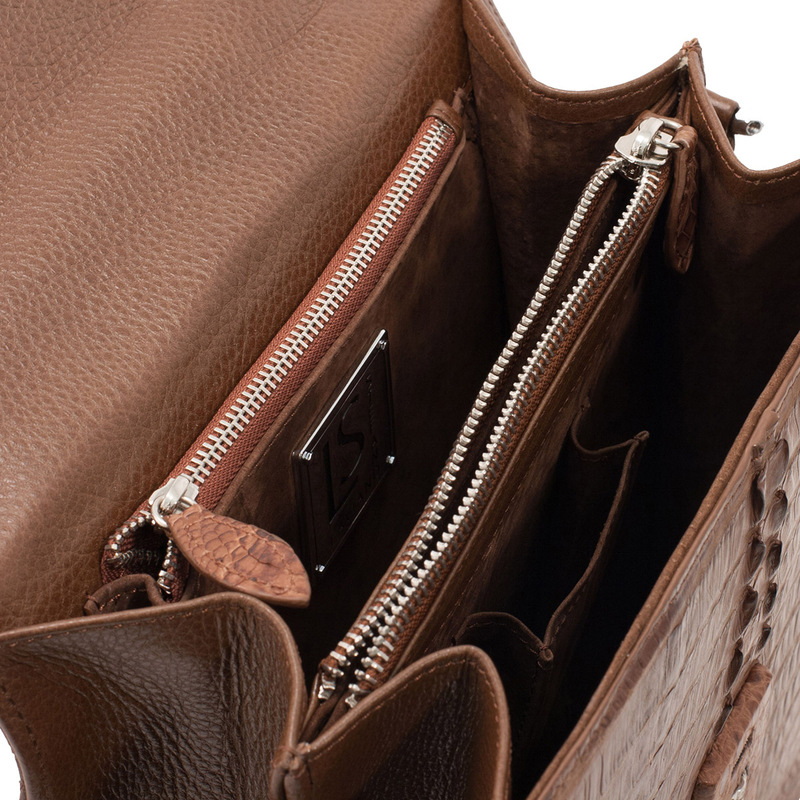 The interior has triple gussets, two inside zipper pockets, and a cell phone pocket.